Sauza Hacienda Reposado Tequila - 100% of this premium authentic reposado Tequila is rested in American white oak barrels for four months and, as such, is more mellow than a blanco or joven Tequila. 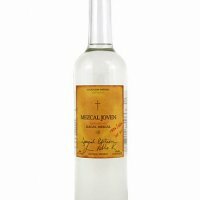 A very flexible Tequila which can be combined with a number of different mixers. Tasted from a double shot glass April 2011. This is a strange tequila...it's almost like a very strong white wine. Legs are present but not particularly strong; colour is a slighty 'enhanced'-looking (if you get my drift) pale gold. The nose is...well, winey, with vague hints of caramel, and almost no alcohol. The initial taste is very fruity with a very, very faint hint of caramel. Body is near non-existent, but what there is is fruity and, again, wine-esque. The finish is probably the best part of this, and is where a mild heat and pepperiness appear, with no alcohol burn at all, albeit it will leave a gentle numbness in place. There is some agave hidden in there too, albeit it's slightly tart, but given that this tequila is reasonably sweet anyway, it's a welcome addition. Presentation is pretty boring - a very heavy bottle on which the only thing of interest is an embossed agave. This appears to be a mixto (no mention of 100% on the bottle), and it shows. There is some agave hidden under there, but the overwhelming taste is of white wine - to the point that I had to check I'd poured the right bottle! This is a pleasant tequila to drink on a summer's day, but just don't expect complexity or a tequila man's tequila - it's just not. It also tastes closer to a blanco than a repo to me. However, considering that I bought this at a similar price to Cuervo Especial, it's a no brainer if you need a cheap tequila that doesn't taste like chemicals and you can't lay you hands on some Olmeca or something better. If you're new to tequila and are coming from a wine background, this may well be the one for you to introduce you to the world; from here you can go on to the purer, more complex tequilas. Also be careful, you really can't tell there's the full 38% ABV in this. You could drink a full wine glass and not notice until you stand up. 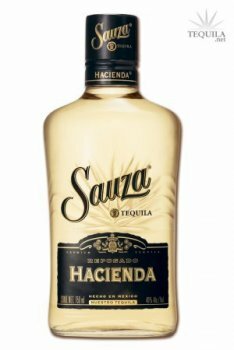 this is honestly the most average tequila there is, great flavor, good burn, nice finish, it tastes like tequila should taste. perfect for mixing, and for shots, not very expensive, if youre not a serious tequila drinker but youd like to have a bottle of tequila available in case you have guests, this is the bottle to have, i doubt youll get any complaints from anyone regardless of how big of an expert they claim to be, this is the honda accord of tequilas, people wont be super impressed by it, but they'll still enjoy it. perfect for mixing.